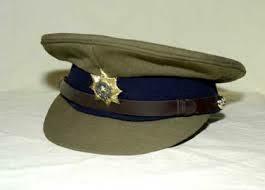 An officer in charge of Borrowdale Police Station who reportedly scalded his second wife with boiling water in a scuffle over supper has been released on $50 bail by the High Court. When Simbarashe Sibanda made his first court appearance, he was remanded in custody and advised to apply for bail at the High Court because he faced a third schedule offence. He was granted bail by Justice Davison Foroma on July 2. He is being charged with attempted murder. The complainant is Stella Ruswa, a police officer who was recently attached to the prosecution department at the Rotten Row Magistrates’ Courts. Prosecutor Linda Gadzikwa alleged that on June 8 around 5pm, Sibanda visited Ruswa’s residence and realised that she had not prepared supper. The court heard that only a pot with boiling water was on the stove and Sibanda confronted Ruswa about the issue. It was alleged that Ruswa told Sibanda that there was no relish to prepare the meal and this did not go down well with him.